...what treasures could be inside? 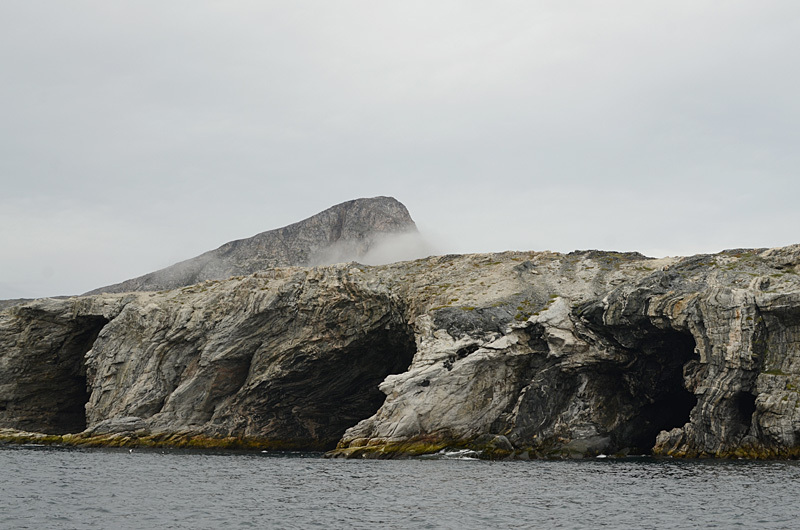 The shores in and around the Saglek Fjord are a mixture of different kinds of rock, some stronger and some weaker than the rest. Over millions of years, the weaker rock has been broken down by wind, freeze-and-thaw cycles, and wave action. From this erosion, many sea caves have formed. 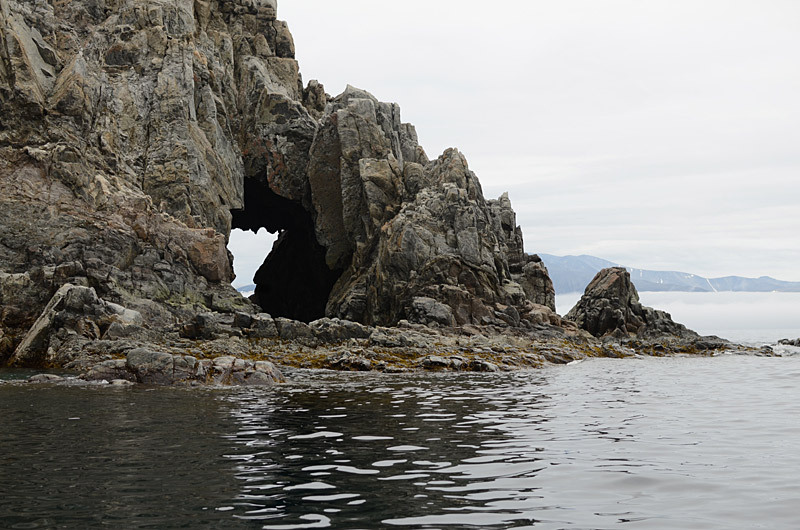 Some caves are broken through from both sides and turn into sea arches. And some caves may never have been explored. What could be in there?